Tribal tattoos have been worn by different cultures and races for centuries. So the meaning of the tattoos differed depending on the culture or race of the wearer. They have become amazingly popular over the years and can be found on the body of millions of people. Certain styles of tattoos have spiked in popularity. When it comes to the size of the tribal tattoos, both men and women often go for designs that cover an entire area of the body, such as an entire arm, leg or chest. Here are some beautiful tribal tattoo designs in vector AI and EPS formats for to customize easily. 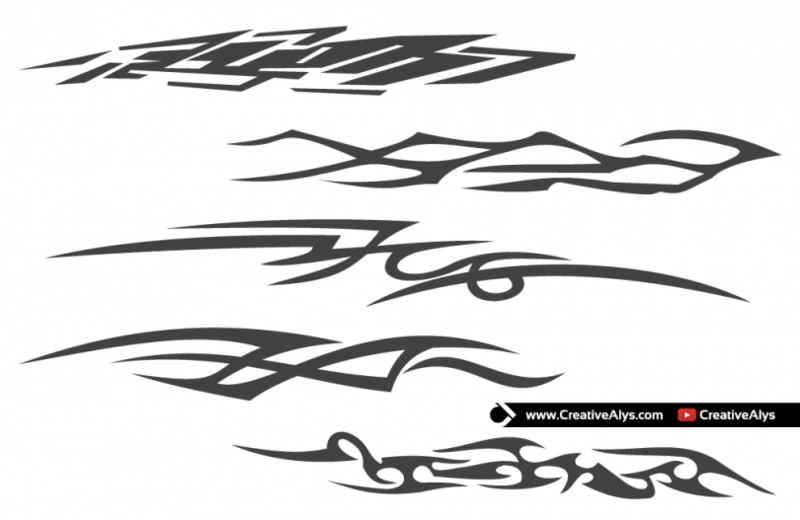 Grab these free tribal tattoos for your personal and commercial use. Download, share and enjoy having these great Tribal Tattoos. Also don’t forget to visit our design shop for more great design resources. Subscribe to our YouTube Channel to get more amazing stuffs.